These favorite projects represent the creative work of more than 20 notable designers including Veronik Avery, Debbie Bliss, Ann Budd, Norah Gaughan, Kate Gilbert, Melissa Leapman, Kristin Nicholas, and more. 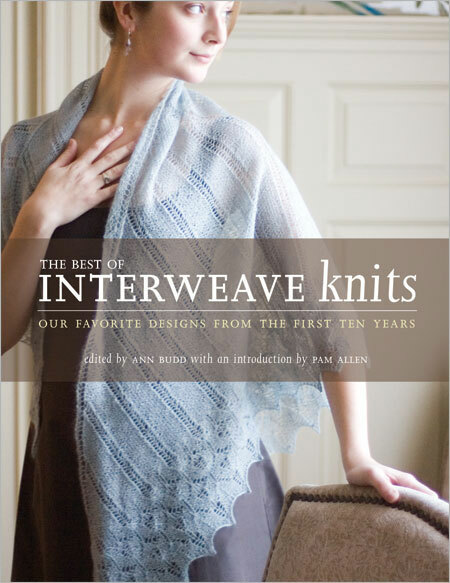 This must-have pattern collection, with a foreword by Pam Allen, also includes a dozen favorite articles articles from Interweave Knits’ popular Beyond the Basics column. These articles provide in-depth information on essential techniques including casting on, increasing, decreasing, binding off, seaming, grafting, and blocking, and working with two yarns at the same time, reading charts, working short-rows, and understanding lace patterns. If you’ve been collecting Knits for many years, or if you’re new to the Knits world, this impressive collection of favorite designs will be a great reference tool for years to come.